Over the last 8 years, we've engaged with tens of thousands of people at Robotiq, literally! The core of DoF -- the DoF Founding Pros -- is a fine, diverse selection of the most creative and effective automation pros on the planet. I'll put some of them on the spotlight here to explain why they've been selected. Up until recently, Matt was a Director of Operations at Scott Fetzer Electrical Group. Their great integration work there involving several UR robots was featured on a case study. Him and his colleague Rob Goldiez saw so much potential in the technology that they started Hirebotics, a company from which you can rent robots and pay by the hour used. To make it happen, Matt and the team did all sort of fancy tricks to connect the robot on the cloud and make their cells as flexible as possible so they can deploy them anywhere, quickly. You want to learn more about them, listen to the webcast tomorrow on RBR. Kel just finished his Ph.D. from John Hopkins University and his starting a new venture. We don't know yet what it will do but it will great. 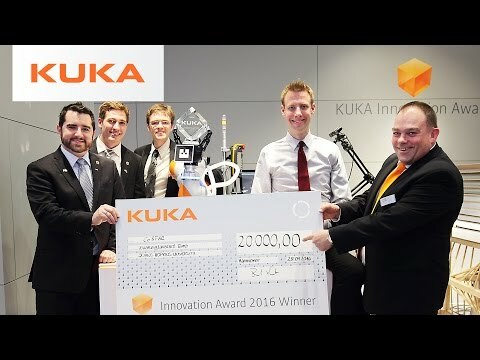 To convince yourself, watch the video below for the project that won his team the 2016 KUKA Innovation Award. David is the real deal. He's been working full time at integrating cobots one after the other at Corbin for a few years now. I've seen several of his projects and it's always the right technology to get the job done. One area of expertise that we don't see that often is flexible part feeding combining vision and vibratory feeders. Jake did his Ph.D. at Georgia Tech working on ways to define an assembly task so robots can transfer knowledge to each other. Then he was Technical Manager for Universal Robots USA before moving to his current position at Energid. So if you have a complex programming questions, Jake might be a good DoF Pro to poke!